The advent of the internet has shone a spotlight on some of the world’s wackiest and most bizarre sports. From Toronto to Leicester and beyond, people with a lot of time on their hands and extra energy to release have crafted some incredible ways to compete against like-minded individuals while vying for the number one spot. And, if you’re looking to bet on one of these obscure sports, here are the top five worldwide. 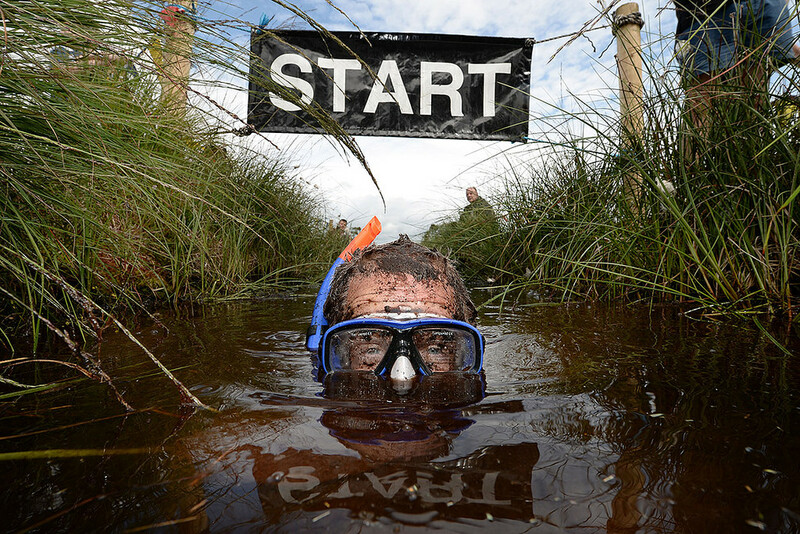 Britain has a certain penchant for developing obscure sports, often prompted by two people agreeing to a bet or, as is the case with bog snorkelling, the need to attract more tourism. The headquarters of this interesting sport is Llanwrtyd Wells in Wales, known for natural, health-inducing sulfuric wells which once drew crowds of spa-seeking tourists. Unfortunately, medical advancements meant people could get the same beneficial qualities in pill form which led to a decline in tourists. Pony trekking came in as a potential substitute but it wasn’t enough. Then came bog snorkelling. Entrants of the World Bog Snorkelling Championships – now in its 31st year – requires competitors to swim 120 metres through a bog without using any conventional swimming strides and relying only on the power of flippers. Certainly a spectacle to behold. 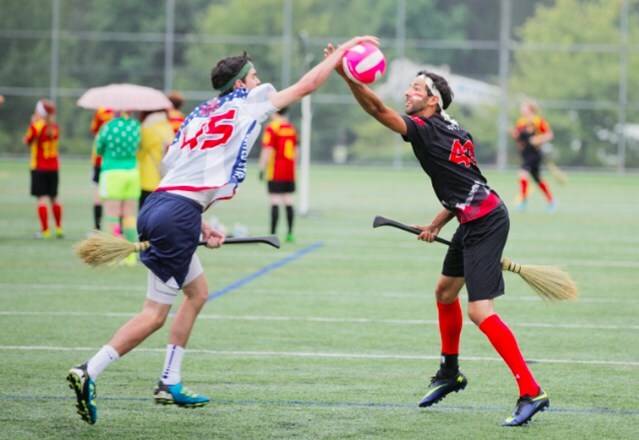 If you’re a magic-loving muggle who could think of nothing better than getting on your Firebolt and chasing that elusive snitch, then Quidditch is for you. Originating, unsurprisingly, at college campuses in the United States, this mixed gender contact sport incorporates elements of rugby, dodgeball and tag. Teams of seven members consisting of three chasers – goal scorers – who score 10 points per quaffle (volleyball) thrown through a hoop. The quaffle can be passed by hands or even kicked. Also on the team is the keeper – goal keeper – two beaters who ‘knock out’ opposing players with bludgers (dodgeballs). Once ‘knocked out’, the player can only resume the game once s/he has touched their own goals. Then there’s the seeker who tries to catch the snitch – a ball attached to the waistband of a neutral player dressed in yellow who runs away from everyone. And to make this insane game even crazier, everyone runs around with brooms between their legs. Things get smellier at the toe wrestling championships, a game which is essentially a thumb war played with toes. Originating where most ideas originate, in a pub based in the United Kingdom, a group of friends were bemoaning the fact that the United Kingdom doesn’t produce any world championships. The solution? Create a championship game and take the title. This worked for two years and then, in 1976, a Canadian wrestled his way to the top. The game took a hiatus but has returned and built up a huge following. To play, there is a full toe inspection performed by a nurse after which competitors interlock toes and try pin the other’s foot to a ring. After three rounds, the winner is determined. Feet are alternated between rounds for fairness. Started by Phil Shaw in the 1997, the sport involves ironing a garment of clothing in extreme sporting environments such as rock climbing or kayaking. 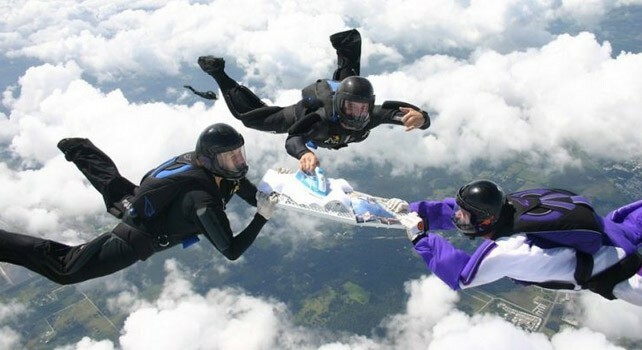 Shaw said the sport evolved after he returned home form a long day to a pile of ironing which he decided to complete while rock climbing as a way to combine the monotony of ironing with an exhilarating activity. 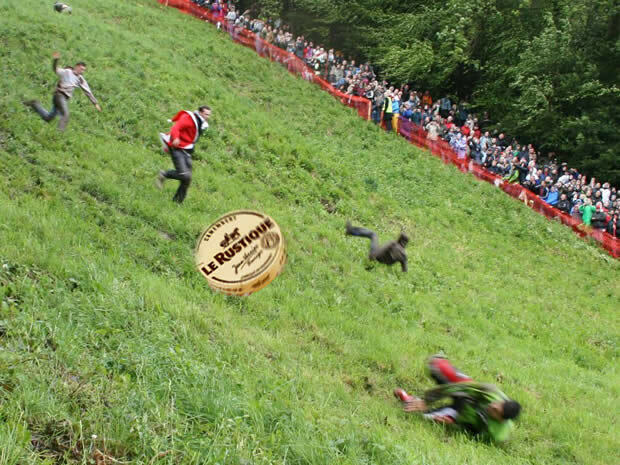 Probably one of the better-known sports is cheese rolling which takes place from atop Cooper’s Hill near Gloucester, England on the Spring Bank Holiday. Competitors must roll a round of the region’s Double Gloucester Cheese and then go chasing after the speedy dairy product. Since 2010, the event is a much less rigid affair with spontaneous competitions happening on the day. Contestants come from all across the world to compete in this crazy sport.